The emergence of design as a major point on the global agenda for sustainability and responsible growth has brought attention to contemporary design practice in India. 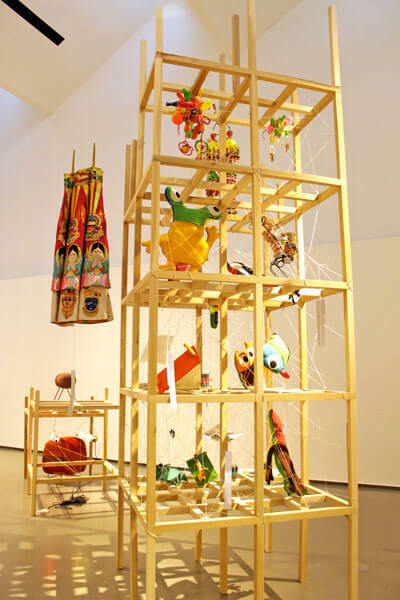 The output of the country’s creative minds is keenly watched by a global audience, eager to know their responses to an ever-changing power balance between West and East. 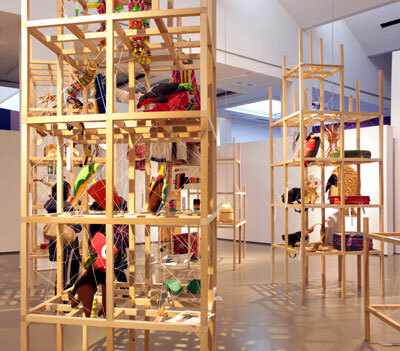 The recently concluded New Indian Designscape exhibition held at Milan’s Triennale Design Museum was one such effort to delineate the values that drive Indian practitioners. The exhibition was part of a series concerned with international design, held in the premises of MINI and Triennale CreativeSet. Curated by Simona Romano in collaboration with Avnish Mehta, the exhibition featured the work of noted talent such as furniture designers Garima Aggarwal and Sandeep Sangaru, textile designer Aneeth Arora, graphic designer Geetika Alok and product designer Sandip Paul. Works by senior designers Ranjit Makkuni and MP Ranjan were also part of the show. As part of an ongoing inquiry into the international representation of Indian design practice, I spoke with curator Avnish Mehta about the project. We discussed some of the complex terrain that this exhibition navigates, the influences he sees in the work on display and some of the rather challenging questions it presents the viewer. Ruchita Madhok: How did the idea of New Indian Designscape come about for you? Avnish Mehta: After graduation in India, I was sure I wanted to change the scale of my work and move from architecture to objects. I made a decision to move to Italy, but realized that, as a designer in the current context of shifting power relations in the world, I could only rely on design to communicate my understanding of the world. Given that I was in Italy – a world design capital – I thought that there was an opportunity to tell the story of India through design. Thus, an exhibition on contemporary Indian design became a subject with which I approached the Triennale Design Museum in Milan to create a show on India. The words ‘Italy’ and ‘design’ are commonly associated with one another. I wanted to if it was possible that through the ideas of ‘India’ and ‘design’, an interesting story could be told. RM: What were some of the questions that lead you to develop this show? 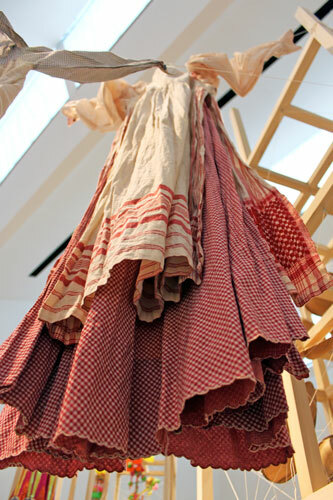 AM: A major anxiety hovers with the question of what Indian design is now, and where it seems to be heading. There is a constant search for a connecting dialogue between Indians and global society that seeks to address the question of what India can contribute to the world in the field of design. When I started the project, there were no pre-cursors to get a complete idea on the design scene in India. No single source that was focused on this objective. There were discrete events occurring all together and failing to make a story. I was also curious to know if there are some traits in Indian design vis-à-vis the idea of ‘trends’ as an approach taken by Western design critics. An insight into these could help one get an idea on the question of India’s design future. RM: So would you say that design in India differs from elsewhere? AM: Design in India is not yet a recognized force. It is neither seen as a differential value addition factor in industrial production or local manufacturing, nor does it exist within the construct of the public imagination that it is meant to simplify or to elevate the daily experiences of doing things. Design exists within a very different concept in India as compared to the rest of the world. In the industrial sector, design is more understood as something that drives efficiency. This is a major trait of Indian design. It is approached from a scientific background but lacks a bit of arts. That would be the next step forward. At more immediate scale, with individual designers, its self-production model is in vogue and many designers play only with graphic design and not tangibles! RM: What, if any, do you think are the emerging trends for Indian design? AM: I have always looked at India to be a source of an alternative vision against the present single definition to things in the world. 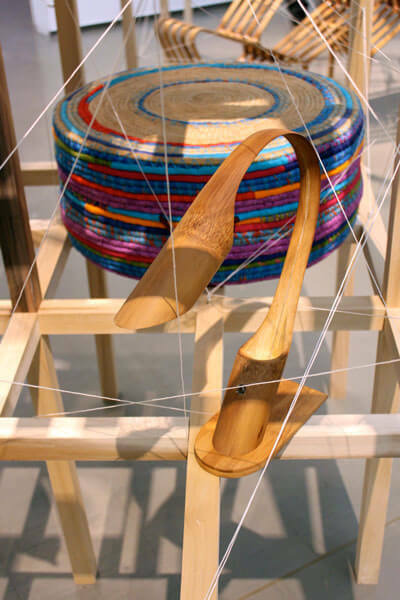 In the material culture, bamboo is slowly being recognized as a material for experimentation to satisfy contextual needs. In the graphic culture is a lot that is similar to global trends, although still facing a ‘kitsch’ approach that I soon imagine will become more resounding and grounded over time. There is still more room for re-interpretation of aged cultural objects which can be an area for exploration and experimentation. It is here that I feel there is much more to come before we get swept away with the global monotypes. I believe however, that the country still lacks a visionary approach to design. RM: Given that this was the case, what were some of the challenges you faced in curating this show? AM: I think that besides the systemic confines of an institution and working in a foreign context, it is a huge challenge to make people listen to your story; to bring unfamiliar perspectives and to make them believe in your story. It is a daunting task. Cultural differences and perceptions always make you doubt your own story at times. They also force you to compromise with the fact that one will have to assume the reality of the situation wherein what you mean for the ‘content’ to be seen, and not just the ‘container’. It is usually a common concern for many curators! RM: Tell us a little bit about the Triennale Design Museum. How does this exhibition dialogue with the museum at large? AM: Triennale Design Museum as an institution of reverence and represents the pioneering efforts of the Italian masters of design. Being one amongst only a few Design Museums in the world, TDM plays an influential role in the Italian society at large and beyond, in forming opinions. After its focus on home front, it recently began its dialogue with new cultures such as China, Brazil and South Korea. I knew it would shift to India. I believe that the idea of design from India has never been explored either by an Italian audience, or by Indians themselves! 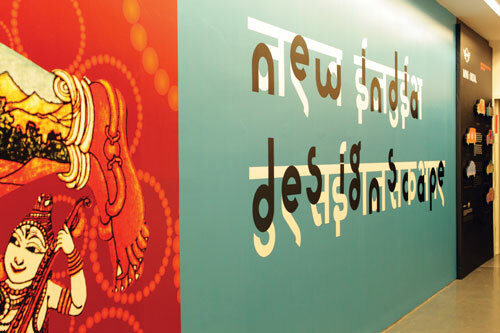 Clearly, there was no better place to showcase New Indian Designscape than at TDM: a place that could help read the ‘manifesto’ to a design-aware global audience. It’s thanks to Ms. Silvana Annicchiarico and her team at TDM that we were able to make it happen. RM: Given that this is new territory then, what is the purpose of this project? AM: I see this exhibition as a tool to announce a manifesto where a story as valid as global reality is being told. I believe the contribution of this exhibition should lead into bringing and allowing people to think of an alternative possibility amidst the thoughts and theories doing rounds of limited resources for the next phase of human growth. I believe there is enough human ingenuity in place to meet those challenges. The exhibition should, in some way, exude the idea of ‘hope’. It should allow a little relaxed and a less perplexed attitude towards emerging markets, assuring the global society that they will be able to tackle their own needs with their own solutions. RM: This narrative that you describe appears to manifest quite strongly in its layout and scheme. What kind of experience did you imagine for the visitor? AM: The main goal as I believe should be to present an overview of the Indian design landscape; then to understand the lesson of the story and become convinced that there is enough to be happy about and become partners in this approach. Speaking in terms of the experience for the visitor, the exhibition layout was designed by Ms. Kavita Singh Kale where she intended to portray the fragile nature of Indian urbanity as a ‘work in progress’ and as differently interpreted by my Italian co-curator Ms. Simona Romano, where she pictures the whole exhibition contents as a result of trans-cultural approach with Indian designers. I hope that the exhibition – with all these myriad interpretations – will bring about sensibility over sensitivity for the audience when they visit the exhibition. 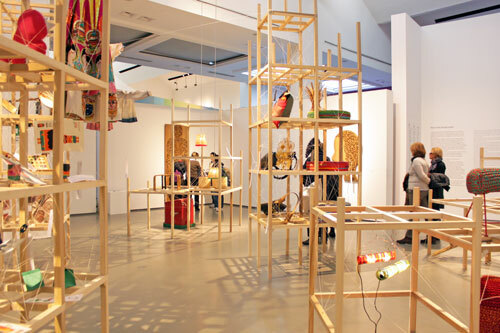 New India Designscape was held at the Triennale Design Museum, Milan between 14 December, 2012 and 24 February, 2013. Visit www.triennale.it/en for more information. With design cultures dating back to 3000 years, we seem to playing catch-up with the western world, when it comes to use of design in modern structures. Love the blog! Great Articles!